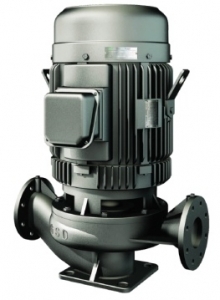 Features: Close-coupled single suction, single stage, Vertical installation type centrifugal pump. Coaxial volute structure design, closed impeller, mechanical seal, high efficiency. Applications: Use for industrial water supply, irrigation water system, such as for air-condition system, condensate system, swimming pool, waste water etc.